Montenegro is a Balkan country, surrounded by Croatia and Bosnia and Herzegovina to the north, Serbia to the northeast, Kosovo to the east, and Albania to the south. To the west of Montenegro is the Adriatic Sea. Covering the surface area of 13,812 sq m and just over half a million inhabitants, Montenegro is a small country of numerous possibilities and contrasts. Pleasant and warm climate, canyons, mountains and the sea, form the landscape and are only a few hours’ drive away from each other. It is a country of 40 lakes, the clearest rivers in Europe, Mediterranean climate, almost one quarter of Europe’s plant life, five national parks, the deepest river canyon in Europe, modern hotels and significant investment activities in tourism, and heritage from three cultures: Slavic-Orthodox, Venetian-Hapsburg-Catholic and Ottoman-Islamic. Founded as a political entity in the 11th century, it was a long time before the country achieved complete independence. For most of the 20th century, Montenegro was part of Yugoslavia, which started to break apart in the Yugoslav Wars in the 1990s. Montenegro remained united with Serbia until it became independent in 2006. There are a lot of wonderful sights to be seen in the picturesque country. Serbian Orthodox Monastery of Ostrog (most visited pilgrimage destination in Balkans), the 12th century St. Tryphon Cathedral, the Church of St. Luke and the Orthodox St Nicholas Church. Bay of Kotor, considered one of the prettiest bays in the world is not to be missed. Durmitor National Park, which is a World Heritage Site boasts a rich flora and fauna as well as snow-covered high peaks, several canyons and many glacier lakes. Montenegro is also a fantastic location for all Mountain lovers, much of the interior is uninhabited mountain and forest wilderness, with dramatic scenery and some of Europe's last bears, wolves and occasionally, lynx. 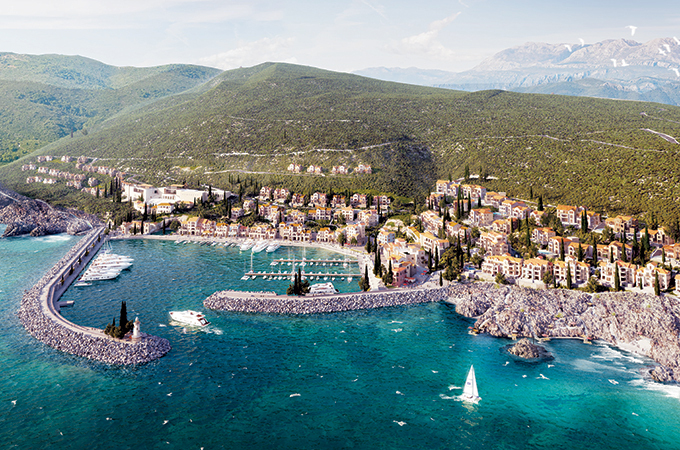 According to the Ministry of Sustainable Development & Tourism, more than one billion euro of revenues was recorded last year from the hospitality sector of Montenegro. Four million overnight stays were recorded in the first ten months of 2017. Tourism is growing exponentially. It grew as much as 8.3 per cent in the first nine months of 2018. More than 2.1 million tourists came here last year. As a result, many new hotels are being constructed or are in the planning stage. Last year alone, 25 new hotels have been set up. The government is investing as much as €214 million in tourism projects. They are investing in ski centres, with an attempt to expand the tourist season into the northern parts, as well as throughout the year. This move will take tourism in Montenegro to new heights, as there is something for everyone now, round the clock. Some of its cities include the capital Podgorica, Bečići (famous for 2 km long fine sandy beach, Cetinje (the old capital), Herceg Novi, Budva, Perast, Tivat, Zabljak, Niksic and Kotor. Montenegro has developed as an adventure tourism destination. White Water Rafting (along Europe's deepest canyon), kayaking, mountain biking, climbing, scuba, sailing, wind and kitesurfing, horse riding, hiking and paragliding are some of the many engaging adventure sports.